This portrait of Edgar Allan Poe is made up of his famous poem "The Raven". 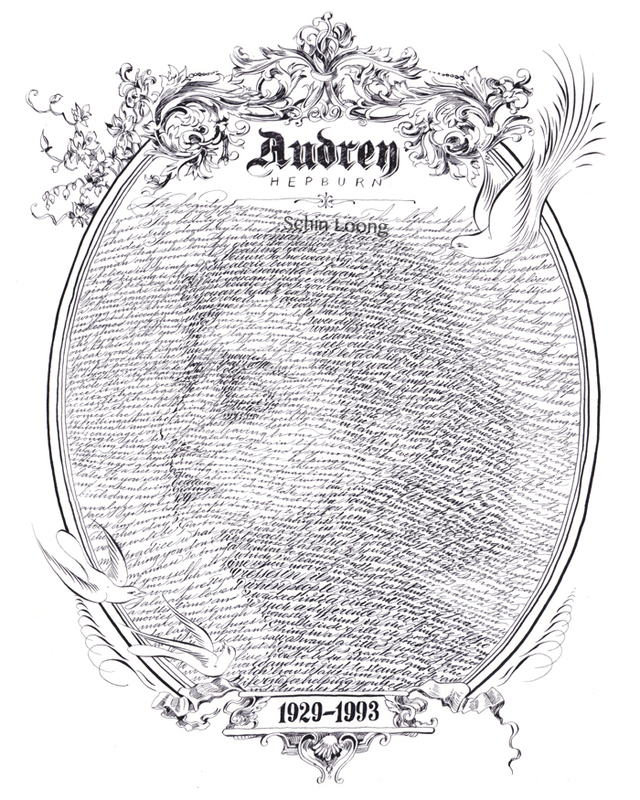 This portrait of Audrey Hepburn is made up of her famous quotes and sayings. This portrait of Gautama Buddha is made up of his famous koans. This portrait of Jesus Christ is made up of verses in the Bible. This second portrait of Audrey Hepburn is made using traditional ornamental penmanship tools. Everyone's favorite Lannister is made up of his famous monologues and quotes from both the book and TV show, Game of Thrones. This portrait of Shakespeare is made up of his famous quotes and plays. This portrait of John Lennon is made up the lyrics for "Across the Universe." These are my calligraphed portraits. 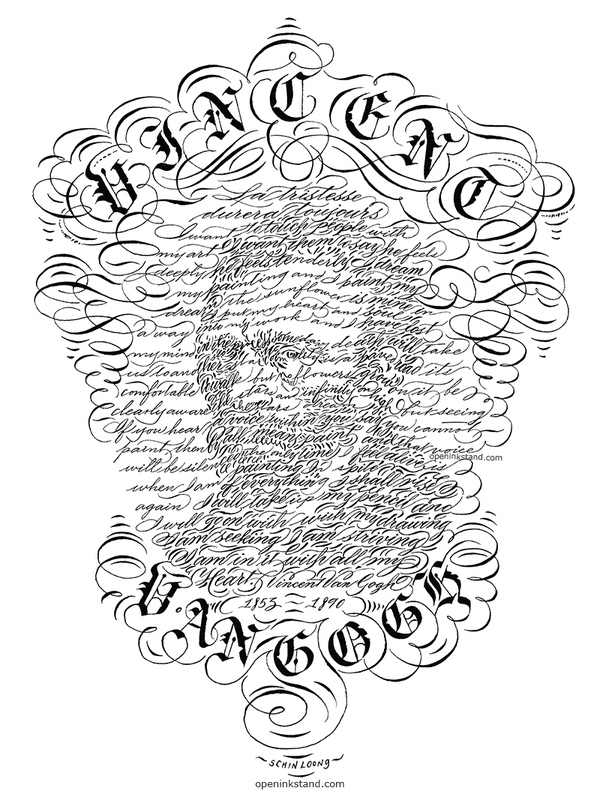 Each famous portrait is formed using the subject's own words and quotes using traditional nib and ink. The final artwork is usually around 9 x 12 inches. Prints are limited to 500 pieces, and are signed, numbered and dated.